Transactions is the annual journal of the Association. As the title indicates, its purpose is firstly as a permanent record of some of the proceedings at lecture meetings and conferences, but contributions on any aspect of the historic environment from members and other interested professionals are welcome. It seeks to provide a platform for authors and topics which might not otherwise be published. All contributions are peer reviewed by reviewers chosen by the Editorial Panel, who are drawn from or appointed by the Committee. Intending authors are invited to contact the General Editor before committing themselves. Back numbers are available from Volume 27 for 2003-4 onwards, for £25.00 posted to UK addresses, £27.50 to the rest of Europe and £30.00 to the rest of the world. Copies of individual articles are available for £2.00 per page with a minimum order price of £15.00. Complete sets of back numbers are also available for new subscribing institutions. Requests for back numbers or copies of articles and requests from institutions to become subscribers should be directed via the form on the contacts page. Download a searchable pdf list of Transactions here and use your pdf viewer to search. Please note that abstracts are included for Volume 27 onwards. It is a fundamental principle that the best protection for an historic building is to ensure its viable use and the Royal Hospital Chelsea has continued its original purpose (through numerous minor adaptations) for well over 300 years; sheltering retired British Army soldiers since 1692. Peregrine Bryant Architects has been involved with the Royal Hospital from 2006 to this day, overseeing not only the complex adaptation of the Long Wards (2006–2014), but also development throughout the ancillary West Road site. The first of the ‘magnificent seven’ Victorian burial grounds for Greater London, and now run by the Royal Parks, Brompton Cemetery has recently received a £4 million upgrade generously supported by the Heritage Lottery Fund (HLF). MRDA were the architects for the project which included conservation and repairs to listed monuments, the Colonnades, the Central Chapel and the North Lodge. Additional upgrading has included the creation of a multi-functional facility in the Chapel and extensions to the North Lodge to enable its conversion to a new visitor centre and café. The former police post at the south east entrance is now a modest sales kiosk. Twenty years after Bill Harvey proposed a structural model for masonry viaducts, he started to see damage he could not explain. He says it took a further 15 years to work out why he was wrong, and the battle to correct the error continues. The paper is intended to explain how he got it wrong, what he now thinks and why and how we might move forward from here. The £3.8 million HLF-funded restoration and renewal project at Fulham Palace is the latest phase in a long-term programme of enhancement and improvement for this Grade I listed building, one of London’s outstanding Tudor survivals. Works are focused in and around the courtyard to the west of the site and include the refurbishment of commercial spaces and the relocation and enlargement of the museum. Extensive repair works are being undertaken to the Tudor brickwork, challenging conservation orthodoxies through the rediscovery of traditional materials and techniques such as hot-mixed lime mortar and the use of a double-struck joint. The project has also offered up some surprising discoveries, including original Tudor daub partitions and striking 17th-century wall paintings. This article considers the background to the bringing in 50 years ago of legislation to allow conservation areas to be designated by local authorities. The social and legal context of that time is considered alongside the development of the understanding of the architectural and historical importance of various types of places and buildings and their wider cultural appreciation, at a time of significant change in the physical world to meet demands for new housing, employment and forms of transport. The subsequent development of conservation areas has engaged the public and political interest in their processes, which now constitute the context within which conservation areas are lived and worked in and thereby understood. In her previous article (Volume 32, 2009) Laura Levitt wrote about the architect George Smith in Hertfordshire including a discussion of his designs for St Albans Town Hall. The town hall has since undergone a significant transformation into a new museum, a project the author was involved with as part of her then role as the local conservation officer. This article seeks to discuss the challenges, opportunities and outcomes of the project. In the United Kingdom the education of professionals in architectural conservation evolved slowly in the 20th century. The results of a detailed inspection of archive records describing the founding of two early, and three later, courses are presented, offering a glimpse of the impediments that faced innovators. While a modernist agenda came to dominate new-build design, the main professional body for architecture exhibited an inability to accommodate the idea that conservation principles and practice were a part of architecture. An appreciative account of the work of contemporary individuals and national amenity societies is presented, giving rise to the following questions: What are the most appropriate organisations to prepare architects for heritage protection in the future? As an academic discipline, should conservation be within existing architectural training or remain extraneous to it? The Chester study, together with the conservation programme it generated, today forms one of the most energetic and positive examples we have of people setting about saving their city. Following its publication in 1968, the study was accepted by the city council as a basis for an active conservation programme and the report’s author, Donald Insall Associates, was appointed by the council as consultant. The city centre was designated as one of the newly conceived conservation areas. This article summarises the current state of knowledge relating to conservation areas in England based on research commissioned and collected by Historic England (English Heritage before April 2015) in the past decade and, in particular, research carried out in the lead-up to the celebration of 50 years of conservation areas in England in 2017. Working with the heritage sector, Historic England has now built up a much clearer picture of conservation areas, who lives in them and the benefits they bring to society. This is essential if society is going to manage them successfully in the future. The Grade I listed Temperate House is a masterpiece of Victorian engineering situated within the UNESCO world heritage site of the Royal Botanic Gardens, Kew. Constructed between 1860 and 1899 the building is the largest Victorian glasshouse in existence and an example of the pioneering work undertaken by its designer, Decimus Burton (1800-81). Last restored in the late 1970s, the building was suffering from varying degrees of degradation and was struggling to fulfil its role as a temperate environment for the important specimens cultivated by Kew. The Temperate House is currently undergoing a major five-year restoration. This paper addresses the complexities of assessing such a unique structure in a sensitive setting, the conservation approach taken and some of the surprises and challenges encountered along the way. This article sets out the nature and context of conservation and repair works at the Tower of London which included replacement of the White Tower’s 1970s south stair and the Middle Drawbridge, as well as cleaning and repair works to elements of the masonry and roof structures. The work described was carried out as part of a larger and ongoing project at the Tower of London commissioned by Historic Royal Palaces. The Grade II* listed war memorial in St Peter’s Square, Manchester was built in 1924 to designs by Sir Edwin Lutyens (1869-1944). The original memorial comprised a cenotaph, two flanking obelisks and a ‘War Stone’. The cenotaph takes the form of a pylon supporting a catafalque on which lies the figure of an Unknown Soldier. The original setting of the memorial was compromised by the introduction of Metrolink tram infrastructure in the 1990s and other changes to the surrounding cityscape. The following account deals with the relocation of the monument ensemble and the design and construction of the new public space in which it sits. Banqueting House is a Grade I listed building on Whitehall in central London and the last surviving building of Whitehall Palace. Cared for by Historic Royal Palaces, it is home to a series of internationally significant ceiling paintings by Peter Paul Rubens. This account looks at Phase 1 of the repair and conservation project, carried out in 2013-16, which focussed on the building envelope. Next to the Church of St Dunstan-in-the-West on Fleet Street is a handsome Jacobean Revival building of 1834 by John Shaw junior. It’s an early example of the style, but perhaps more interestingly it is a remarkably early purpose-built office building, erected for the Law Life Assurance Company. During the 19th century the office started to emerge as a distinct building type and by the early 20th century the hearts of England’s principal cities were being re-shaped as converted dwellings were replaced with bespoke new premises. 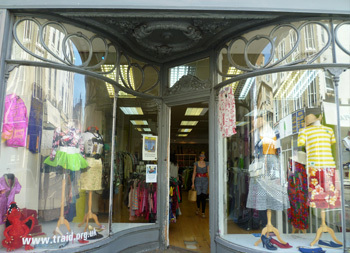 This article considers English Heritage’s programme of listing commercial buildings in 2013–14, shortly before the organisation became Historic England. The Edwardian period saw the revival of a number of different architectural styles. These have been written about extensively and eruditely, not least in such household texts as The Edwardian House by Helen Long and Stefan Muthesius, Sweetness and Light: the Queen Anne Movement by Mark Girouard and in a new volume, Neo-Georgian Architecture 1880–1970: A Reappraisal edited by Julian Holder and Professor Elizabeth McKellar. However, an aspect of Edwardian revival style which does not seem to have been much written about is the use of imported architectural items from 18th-century buildings in either newly built Edwardian houses or those which received a ‘makeover’ in the Edwardian period. The premise of this article is that design and conservation are not antithetical, indeed that they are two sides of the same coin – but are different sides of the coin being studied by what now seem to be oppositional groups? In schools of architecture, history is now relegated to the fringe, whereas many in conservation see contemporary design as of little worth and seem incapable of bringing critical faculties to bear on buildings old or new. When ASCHB held its AGM at St Jude-on-the-Hill (Sir Edwin Lutyens, 1909–1935) in March 2016, the church’s parochial church council (PCC) was nervously awaiting a decision on an application for Heritage Lottery Funding for works to repair the church. The funding was also earmarked to improve provision for all visitors and to create a new learning hub in the lady chapel focussing on the history of Hampstead Garden Suburb. Unfortunately, that application proved unsuccessful, but a new application was submitted to the Heritage Lottery Fund in December 2016. The author was appointed inspecting architect to St Jude-on-the-Hill in 2006 and has carried out two quinquennial inspections since that time. She is also a member of the steering group involved in the preparation of the new application for Heritage Lottery Funding. This is an account of works of repair, restoration and remodelling carried out initially in 2008 and later in 2011–14, all under the same ownership and patronage. The restoration work sought to achieve exemplary standards and to return the façades of the listed building to their original Georgian finishes and elegance. Internally, works included extensive repairs to historic panelling, which was nurtured back to a healthy state. The underlying principle of all remodelling and refurbishment was to deliver contemporary services and standards in a manner that complemented the historic fabric and layouts. Thus the building’s Grade II* listing was never a hindrance to achieving the contemporary and the fashionable, but rather a stimulus for good design. The history, construction and conservation of the Iron Bridge, the world’s first cast iron bridge, are remarkably well documented and make a broad and fascinating study. Throughout its 240-year life, it seems that each generation caring for the bridge has, perhaps unconsciously, been influenced by the engineering innovations and practices of its time. This has resulted in a chronology of distinct repair approaches and is the context in which the current programme of analysis and conservation should be viewed. In this current phase, the development of a scheme of conservation works has been based on an understanding of the previous repairs, engineering analysis of the bridge and modern conservation philosophy. The programme comprises repairs to the ironwork, including interventions to cracked radials and repairs to the ends of deck plates (the elements causing most concern) as well as repainting and masonry repairs. Notwithstanding the great deal that is already understood about the bridge, new discoveries and interpretations continue to be made. On 21 May 2016 Jane Fawcett died aged 95. For some 40 years she was active in the conservation of historic buildings and sites in several ways. The following is an appreciation of her contribution in this realm, taken from an address given by the author at a memorial service on 30 July 2016 at Petersham, London. The recent restoration of Hoxton Music Hall has posed a number of complex challenges – in particular how the hall might be used for regular performances with modern lighting and sound installations without losing any of the original fabric and the rough character of a Victorian music hall. It has been a long process that started by looking again at the history of the hall and a challenge in which lost elements of the original building have provided many of the clue. The 12 listed Lubetkin-designed concrete structures at Dudley Zoo, built between 1936 and 1937, are the greatest collection of surviving Tecton buildings in the world and some of the most important Modern Movement buildings in the UK. As time has moved on and zoological practices have changed, some of the Tecton structures have become unused and left to serve only as monuments. The lack of use has led to poor upkeep and deterioration. All were in a poor condition, mainly due to corrosion of the reinforcement, with works to enhance the structure required in a few locations. Four of the structures have recently been repaired with help of the Heritage Lottery Fund. A conservation-based approach was adopted, with traditional concrete used for the majority of the repairs and carbon fibre added locally to stiffen a large cantilevered viewing platform. The repair of the structures was the first part of the conservation work and was followed by the reinterpretation of the structures to provide a programme which would sustain their future use. An area of the Bear Ravine is being used for long term testing by Historic England to monitor the performance of the different methods of repair. In my article ‘Auditing the Layers’ in ASCHB Transactions Vol.32, I explained how in the examination of cross-sections under the optical microscope the discipline of lettering layers or groups of layers could focus observation; provide through an audit-trail an internal reassurance of the conclusions reached; and facilitate the clear reporting of these. However, I did no more than touch on the subsequent process of ‘colour evaluation’, in which the likely original colour of any selected layer is assessed, and in this article now turn to address this matter, which on a complex project of any pretension to historical accuracy I see as a distinct but integral exercise. This article describes the work of DBR London Limited to save and protect the decorative plaster sgraffito adorning the Henry Cole Wing of the Victoria and Albert Museum, London. The facade is understood to be the very first Victorian attempt in Britain to revive sgraffito, an essentially Renaissance decorative plaster technique. Part of a much larger cleaning and repair project, the emergency work on the sgraffito was triggered by grave concern for its extremely fragile state, and the impending building works of the new V&A Exhibition Road entrance project. Stonemasons, craftsmen and conservators from DBR teamed up with Ian Constantinides to tackle this urgent and unprecedented conservation project. In addition, a series of panels were selected for careful restoration to re-establish some of its original beauty. Has the tried truly been tested and what are the lessons? Since 2012, English Heritage (now Historic England) has been revising its Practical Building Conservation series which examines conservation largely according to original building strategy, material and technique. Much research underpinned these books and yet more is being pursued in a fragmentary way across the country. It is therefore timely to consider research into and the development of historic construction methods and materials to see how current conservation practice might be recalibrated in the light of that knowledge. Some of the headwinds set against conservation practice are also forces that are taking the wider construction industry away from sustainable building production, and a better understanding of historic construction methods and materials would be beneficial to both. The departure of the BBC World Service after 70 years at Bush House left this Grade II listed landmark building in need of a thorough restoration. Designed by the New York firm Helmle & Corbett in the 1920s along big-business classicism lines, the intention of the original American owner Irving T Bush was to provide a unique international trading centre. The article describes how this restoration and modernisation has returned the building to its Bush – Corbett origins, where the Beaux Arts inspired exterior with its opulent architectural detailing and symbolic entablature now provides a grand triumphal conclusion to the Kingsway and a welcome boost to the architectural integrity of the Strand Conservation Area and interior exploration has uncovered a wealth of unique detail. Harvey Court is a seminal late 20th century collegiate building. Critics have pointed to the influence of the great Finnish modernist architect Alvar Aalto on the design, which also reinvents the Oxbridge college quadrangle paradigm. It introduces a stepped section which influenced some of the most iconic UK housing schemes of the 1970s and 1980s, such as the Brunswick Centre and the Alexandra Road housing schemes in Camden, as well as other student housing schemes by Denys Lasdun. It was designed within the office of Sir Leslie Martin and Colin St John Wilson with Patrick Hodgkinson, who had spent a year of his architectural studies working for Aalto, as project architect. When completed in 1962 it was a radical departure from conventional student accommodation, but almost 50 years later modernisation of its facilities was overdue. Ongoing works at Hampton Court Palace have encompassed work in Great Hall Court, the Buttery Roofs, Anne Boleyn Gatehouse, Base Court and Clock Court. The palace presents an evolved chronology of change and repair that challenges archaeological understanding and at times technical resolution alongside difficult aesthetic considerations in the context of immovable programmes. Much has been revealed, but the overriding lesson has been to take nothing for granted. This article describes the personal experience of the quest to conserve not only the buildings and landscape of the Welsh Marches area but a way of life and the skills that supported it for countless generations. The objective was to use conservation as the platform for economic regeneration, supporting traditional craftspeople and the production of materials associated with their work, so maintaining a relevance and sense of purpose in the 21st century. It was a journey that included an unexpected and major detour into the foothills of the Carpathian Mountains in Romania, which continues to this day. The context within which Jamaica’s built heritage now stands is fundamentally different to that of the UK. This article is an attempt firstly to outline what I have found out about the context within which I have tried to work, in so far as that is relevant to the built heritage, and then to exemplify that context by looking at a number of buildings, especially the Iron Bridge, Spanish Town. This sets out to describe the abandoned whaling stations on the Antarctic Island of South Georgia. The scale of the whaling industry and the British involvement in it is something that we, as a nation, have forgotten. South Georgia illustrates the rise and eventual collapse of industrial scale shore-based whaling. The legacy on the island is a number of deserted crumbling industrial sites that are a monument to an industry that has disappeared and is a haunting reminder of the three-quarters of a million whales that were killed and processed here. These whaling stations are arguably potential World Heritage Sites, but they are also a liability for the government of the island. The transformation of King’s Cross Station has involved three very different approaches to architecture: conservation, re-use and new build. While the show-piece is clearly the new Concourse at the heart of the development, the overall project is far more complex: an extraordinary, collaborative effort that also encompasses the restoration of the Eastern Range, the Main Train Shed, Suburban Train Shed, the Western Range and the station’s iconic façade, as well as the construction of a new platform and subterranean service yard. The Weald & Downland Open Air Museum opened to visitors 43 years ago in September 1970. It was founded partly as a response to the high rate of destruction of historic buildings in the 1960s, so has always had strong links with the building conservation movement. This article explores some of the parallels between the museum’s development and the wider world of building conservation, including ASCHB. This purpose of this paper is to examine the saga of the listing of the three inter-war market hall arcades in Brixton. They were rejected for listing in 2008 on the grounds that they lacked sufficient historic or architectural significance. Then following an extraordinary campaign by the community, local Councillors and MPs this advice was reversed in two of the three cases. This was greeted locally as only a partial victory but then, after further protest, all three were listed Grade II in 2010, largely by virtue of their cultural significance representing perhaps the most widely known manifestation of the West Indian community in England. This article aims to provide a simple and direct means to identify historic plain glazing in buildings by observation and illustrates two practical and pragmatic methods of recording devised by architects during the pre-conservation assessment process. Our work at Old Sarum Airfield started in 2005 with a review of proposals by the local planning authority Salisbury District Council to create a conservation area based on part of the airfield. This expanded into a conservation plan and a draft master plan for the site. Following a public inquiry, the key areas of the master plan have been incorporated into the core policies of the local plan, with a requirement that a detailed management plan be produced. Air Raid Shelters are a potent reminder of the darker side of life on the Home Front during the First and particularly the Second World Wars. Neglected for a long time and regarded as a homogenous group of undistinguished spaces, these structures are now beginning to be appreciated, just at a time when many are succumbing to both inherent and external pressures. This is a personal view of the challenges that would need to be faced in any attempt to conserve them. Delicate repairs were carried out to significant cracking in the fan vault of the late 15th century monument. The conservation of stone monuments often involves significant rebuilding. The propensity for monument builders to place in ferrous fixings that will corrode often calls for dismantling to remove them, and there is sometimes the added need for the insertion of vertical and horizontal damp-proof membranes. But for most significant monuments, repair in situ with the least disturbance of ancient material should be the aim of any conservation team. 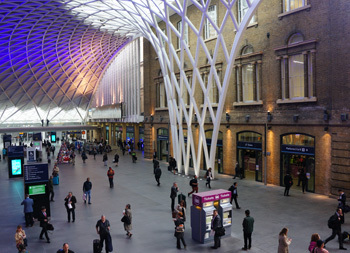 A quarter of a century has passed since the decision to bring the Channel Tunnel Rail Link to King’s Cross and it is now fast being forgotten that King’s Cross station, not St Pancras, was the initial focus of attention. What happened next was as curious and breathtaking as any episode from the early history of railway building. It was also a reminder that where infrastructure is concerned the niceties of conservation can be overtaken by much stronger influences. 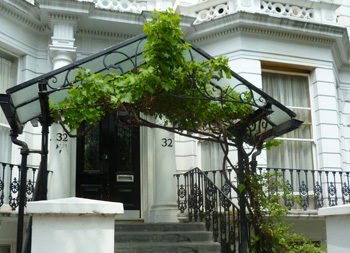 Alec Forshaw started working for the London Borough of Islington in 1975 and was Principal Conservation and Design Officer from 1988 until 2007. Heavily involved with the planning and development of the King’s Cross area, this is his personal account of the Islington side of the story. It does not express any official views of the London Borough of Islington. Until a fire in 1978, Astley Castle, near Nuneaton, had been continuously inhabited for more than eight centuries. Its growth from a fortified early medieval core is traced out in a series of additions, notably those of the 15th and 17th centuries, giving it a complex, multiple identity. Tasked by the Landmark Trust with the creation of a house that would make the most of the historic remains, much diminished after decades of decay, we determined to retain its ruinous character. In doing so, we faced a delicate balancing act between the raw, scaleless characteristics typical of the ruin and the warm, measured qualities associated with a house. The recent interior conservation and restoration of St George Hanover Square and All Saints Margaret Street provided the stimulus for this study of the background and influences which brought these two most significant churches into being. In adjoining parishes, one is a model church of the Queen Anne 1711 Act, the other of the Ecclesiologists. The architecture of both was radically new, derived from briefs which embraced visions of society as well as being manifestations of theological and liturgical understandings, the outward and visible signs of a “high” understanding of the place of the church in society. Corinne joined Purcell Miller & Tritton as an Associate in 1968, becoming a Partner in 1972 and moved to Winchester in 1980/81. The three buildings considered here (Winchester Cathedral, Wilton House and Brighton Pavilion) are perhaps those with which her name is most associated, but the value of these essays is the light they show on Corinne as a person and on her working methods. The success of her work at the Royal Pavilion, Brighton led to her appointment for the investigation phase of the Albert Memorial, but she retired and, as described in the succeeding article, became English Heritage’s Cathedrals Architect before the implementation stage of the project. ASCHB stalwarts Corinne Bennett (d 10 July 2010) and Harry Fairhurst (d 17 October 2011) were the two architects who ensured that the English Heritage Cathedral Repairs grant scheme secured the support of the cathedral clergy and their architects in its first years. 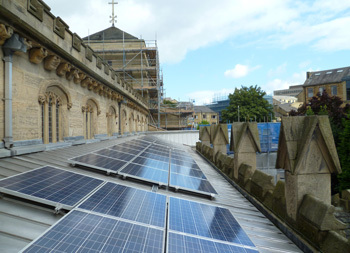 It can now be seen that their work greatly contributed to the 20 years of concentrated effort that has resulted in the current good state of repair of English cathedrals. The exceptional significance of the Theatre of Dionysos makes this a study of interest in its own right. However this project was an example of processes which to an appropriate degree is applicable to the humblest conservation project. That it is a preserved monument rather than a building in use affects the outcome but not the thought processes. It shows how thorough research of the history of the structure and of previous attempts to conserve it, combined with archaeological investigation, in this case through excavation rather than of a standing structure, and understanding of the method of construction, can inform the diagnosis of the mechanisms of decay, including structural failure. This in turn provides a secure basis for the philosophical and technical appraisal of proposals for conservation. The project was essentially an interim stage of restoration to preserve the Leighton House Museum, and it remains ongoing. This paper discusses the museum’s importance and historical significance and explains why the project was necessary to tackle the building’s conservation vulnerabilities and historic presentation shortcomings. It outlines the philosophical and practical approach developed between Purcell Miller Tritton and the curatorial team after the 2006 conservation management plan was carried out, and how that plan guided the restoration strategy and decisions made during the execution of the project. The J W Evans silverware factory in Birmingham’s Jewellery Quarter, managed by a single family from its foundation in 1881 to its closure in 2008, represents a unique and remarkably complete survival. The factory was the subject of a major rescue project carried out in two phases by English Heritage in 2008-11, and is now an English Heritage property open to the public. The extraordinary atmosphere of the interior encouraged a radical approach to be taken to the rescue work never attempted on this scale previously in the UK. Throughout the programme of major repairs the aim was that the whole of the contents of the building should be preserved in situ and untouched. This paper is offered as a study of the ‘conserve as found’ approach taken to its logical extreme. The eastern end of Chichester Cathedral incorporates some of the most significant transitional (Romanesque to Gothic) work in the country. The recent completion of the external and internal restoration of the eastern parts brings to a conclusion the repair of the masonry of the building, a campaign commenced under the surveyorship of Robert Potter in the 1960s, and the cleaning/conservation of the interior. The repair of the exterior continued the use of Lepine stone for weatherings and Richemont Jaune for general ashlar. Purbeck stone has been used to replace decayed external Ashburton stone which only survived 140 years. The interior of the chapel has been cleaned, redecorated and sensitively reordered by introducing new moveable furniture. The decoration is based on surviving evidence of the medieval scheme. This article describes the recreation of the Elizabethan garden at Kenilworth Castle and the philosophical, practical and interpretative issues that it raises. Robert Dudley’s garden, one of the most magnificent Elizabethan gardens, where he royally entertained Queen Elizabeth in 1575, has been recreated in accordance with the detailed contemporary description contained in a letter by Robert Langham, a gentleman in Dudley’s household, and with the advice of a panel of experts. The fortifications and barracks built for the defence of the dockyard at Chatham and the residential quarters of the civilian labour force form a unique, well preserved and under-researched military landscape. By contrast with the dockyard, the military sites face an uncertain future, which this article suggests would benefit from positive management. This paper does not attempt to advance a systematic argument, but simply to make an exploration of “modern restoration” by means of a series of case studies. 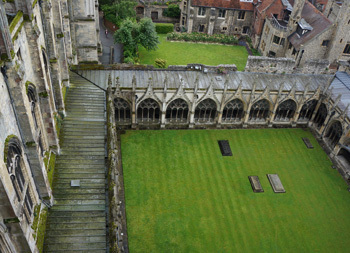 The examples considered reflect the general sense in which the term “restoration” is used by people to describe their attempts to retrieve what they consider to be a building’s historic interest or character, but here they are analysed in the light of Conservation Principles’ approach. This paper gives an overview of a noteworthy project for the rescue of an important historic building and outlines the current proposals for its repair, conservation and reuse. There are three strands to the narrative. The first sets out the importance of the building in terms of English and European social, architectural and constructional history, the second summarises the long battle to save and restore it for posterity, highlighting the key factors and dates, and the third describes the design and technical challenges posed by the building and the brief for repair and reuse, and relates these to the proposed use of natural cement to repair and restore the exterior of the building. The number of such documents is very great and they come in a sometimes bewildering range of formats and descriptions – Conventions, Charters, Recommendations, Declarations, Documents, Memoranda. Individually and collectively they can have a considerable effect on how conservation is carried out in individual countries. Some have legal force, others are advisory only but have considerable influence on national theory and practice. Some are produced by International Government Organisations (IGO) which are official bodies at which states are represented by their governments. Others are developed by Non-Governmental Organisations (NGO) whose membership can be drawn from individuals or from national-level NGOs. Kensington Palace was constructed largely under the aegis of Sir Christopher Wren between 1689 and 1705 with the assistance of Nicholas Hawksmoor as Clerk of Works and Sir John Vanbrugh as Comptroller. Later architects, including Colen Campbell and William Kent added to the complex between 1718 and 1726. Its roofs are all variations of the modern king- or queen-post form, but Kensington differs in many respects from Wren’s other commissions by the variety expressed in its roof construction. Over 20 separate roofs survive, but no two are exactly alike. The issues faced by St Martin’s were those faced by many churches, how to make a building of great historical significance fit for a variety and intensity of use for which it was never intended, by maximising the potential of the whole site. However, the project was unique in its complexity and its public prominence. This article describes the laborious and ultimately successful achievement of the project objectives. Using work on the Courtyards and North Kitchen at the Soane Museum as an exemplar, a two-stage approach to the investigation of paint samples is described. The primacy of the first stage, involving the examination of cross-sections under the microscope and their careful correlation, is demonstrated, and particular emphasis placed on lettering of the layers observed, allowing the final report to include an ‘audit trail’ which can be independently checked. The ‘colour evaluation’ of selected layers forms a secondary process. The Church of St John and St Mary Magdelene, Goldthorpe, South Yorkshire is of historical significance as one of the country’s first substantial concrete buildings. In the 85 years since its construction, the polluted mining town atmosphere caused such damage to the fabric that by the 1990s it was almost abandoned. A grant was secured from the Heritage Lottery Fund and repair work began on the concrete in 1999. The project was finally completed and the church rededicated in 2002. The church at Goldthorpe is a possibly unique building and as a result the strategy adopted for repair was equally unusual. This paper focuses on the work of the architect George Smith (1783-1869) in Hertfordshire, the county of his birth. It outlines the context of the time, particularly the changes in architectural training and practice which had taken place prior to this period. The article makes special reference to some of Smith’s known buildings, public and residential, in St Albans and London Colney. 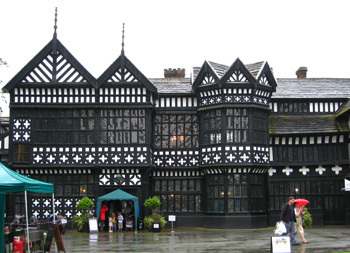 These buildings are analysed and explained in the context of their location, Smith’s architectural training and the period. Those residential buildings on London Road in St Albans which have been attributed to Smith are especially analysed with the aim of shedding some light on this attribution. Enhancing visitor facilities within ever-tightening security constraints is a key challenge for the Palace of Westminster as it enters the 21st century. As part of a related programme of improvements, Gifford was commissioned in 2005 to diagnose the cause of conspicuous, ongoing settlement to the South Steps and part of the floor of Westminster Hall, and to design and implement a solution to arrest the movement. Engineers and archaeologists collaborated to deliver results that were both robust and sensitive, taking into account the results of carefully integrated geotechnical and archaeological investigations. “Living Buildings” by Donald Insall was published to mark the 50th anniversary of the practice he founded in 1958. Though conceived as a follow-up to his “Care of Old Buildings Today”, published in 1972, it actually has a very different purpose. It is the valedictory testament of a lifetime’s experience, focussing on what really matters now and always will, rather than the ephemeral trivia which can threaten to overwhelm practical common sense. Fulham Palace ceased to be the rural seat of the Bishops of London in 1973, after almost 1300 years. The first phase of the Master Plan initiated in 2005-6 included the restoration of Bishop Sherlock’s Dining Room of 1750, converted to a kitchen circa 1816 by S P Cockerell and latterly used as a computer room. The restoration of this room raised substantial philosophical issues including those of sustainability. The 40th anniversary of the Association for Preservation Technology (the US/Canadian equivalent of ASCHB) in October 2008 prompted a reflection on conservation developments in North America since the reviews published in Building Early America (Peterson Ed, 1976). In this paper, the author considers these developments by comparison with UK practice and highlights the technological and other differences and similarities in the field. It concludes with a case study of Frank Lloyd Wright’s Ennis House, Hollywood. Why the Reform Club, almost certainly graced for over 160 years with a splendid and unusual slate roof, is now covered with Italian terracotta tiles. This article traces the history of the roof of the Club, the problems inherent in a ‘patent slated’ roof and the various solutions which were debated before the covering was changed for something completely different. A diversion is taken, exploring the developing relationship between the Club and English Heritage in an earlier project, and the article concludes with a detailed discussion of the various technical issues faced by the architect, the manufacturer and the contractor. Nicholas Hawksmoor and George Gilbert Scott both attempted to stop movement in the nave walls of Beverley Minster. Monitoring in the 1990s showed movement to be continuing. The causes were investigated and remedial measures devised and implemented to strengthen the aisle foundations. The comprehensive repair of the 1620s panelling in the Long Gallery at Apethorpe Hall in 2006-7 provided an unusual opportunity for investigation and historical analysis. The details of the joinery construction, typical of work of this period but little studied, are described. Besides proving it is genuine Jacobean work, the study made a number of important discoveries about the history of the panelling. A highly unusual full-size design for the original panelling was revealed on the wall face behind it. The panelling formerly housed a series of full-length portraits, an integral part of the original design. The article concludes with an account of the repair works, one of the largest joinery conservation projects of recent years. Emotional and subjective responses to historic buildings need to be championed, because a statutory system of protection, no matter how admirable, can lead to an over-reliance on objective models, denying them the force of emotional values that have shaped the conservation movement from the start. Ightham Mote was bequeathed to the National Trust in 1985. A period of consolidation allowed the house and its immediate surroundings to be opened to the public. In 1989 the Trust appointed Stuart Page Architects to undertake a survey and recommend long-term repairs. The first contract in the conservation and repair project was completed in 1991 and the last in 2005, twenty years after acquisition. The survey and report completed in 1989 identified repairs and suggested a programme that reflected the archaeological development of the house. Kew palace was closed to visitors over ten years ago in 1996, eventually to reopen in May 2006 after three separate contracts of work to repair, conserve and finally re-present. The first contract to repair the external envelope from 1006 to 1999 was reported in the article by Tony Dyson in ASCHB Transactions Volume 27, 2002-03. The second and third contracts completed this programme. St Peter’s, Northampton, is generally known as a remarkable Norman church. The East end was rebuilt in 1850-2 by George Gilbert Scott, and the chancel later improved by John Oldrid Scott. Investigations begun in 2003 as a consequence of mould growth in the unheated church revealed that the late 1870s decoration of the east wall by Burliston & Grylls survived under the mid-20th century overpainting, and it has now been exposed and conserved as part of a general redecoration to avoid further mould. St Mary de Haura, New Shoreham, is the finest Transitional church in Sussex, with the rarity of being stone-vaulted. Failure of the chalk webs of the choir vault began to be observed in 1991. In the late 1990s analysis was undertake, which led to the vaults being renewed in 2003-5 with the aid of an EH/HLF Joint Scheme grant. As part of the work, the Caen stone ribs were poulticed to draw out salts and modest stone replacement was carried out. In 2004, arising from work on the Royal Naval College buildings at Greenwich and other conservation work, David Johnson was invited, along with architects from Greece, Italy and Sweden, to participate in meetings called by the Council of Europe and the European Commission to consider what might loosely be called Pilot Studies for Conservation in eight Balkan countries. Further involvement followed and this report is an account of the progress of this unique cultural and social project. A description is given of research work undertaken between 1999 and 2003 into the original scheme of interior decoration at St Paul’s Church, Deptford, designed by Thomas Archer in 1713 and completed in 1730. This scheme was carefully re-created in 2003-4. To complete the review, a description of later alterations and redecorations is also given. The station and the former Midland Grand Hotel at St Pancras in London have been at the centre of a major construction and infrastructure programme. This included the insertion of a new Western Ticket Hall for London Underground underneath the raised forecourt of the Grade I listed building. The author was appointed as a specialist advisor to London Underground’s project team on the historic brickwork associated with the new ticket hall. Detailed investigation and analysis guided the development of specific manufacturing techniques to achieve the required appearance of the new brickwork with very fine brickwork joints. The new methodology was used on the repair work to the raised forecourt in front of the former hotel. The Royal Gunpowder Mills at Waltham Abbey occupy an old and complex site which contains many specialised buildings and structures. At the time of its closure, the site had been in continuous use for the development and manufacture of explosives and related substances for some 350 years. The history of the site could easily provide the material for one article, the relationship of the buildings and processes another and the work on the buildings a third. This article simply attempts to provide a broad overview of all three and to convey something of the unique qualities of the site. The work of three generations of the Buckler family as topographical artists, antiquaries and architects, covered over one hundred years and displayed a high degree of consistency and integrity when compared with changing contemporary attitudes to medieval buildings. It is possible to gain a new respect for nineteenth-century restorers, such as the Bucklers, by studying their drawings and written work. Reassessing the merits of their restoration work can help to guide those currently engaged in the care of these ancient buildings. Industrial roped access is a method of enabling suitably trained tradespeople and professionals to examine and work in areas which are otherwise difficult and expensive to access. Over the past fifteen years there has emerged a group of roped access trained conservators who have been employed by cathedral works departments, fabric surveyors and historic building property managers to undertake a variety of tasks. Thus the use of roped access in the assessment and maintenance of high-level areas of historic buildings has become part of the range of options open to those charged with the preservation of our built heritage. This article will introduce the techniques of roped access, explain how they have been adapted for work on historic fabric and describe how it can be of use in the conservation of otherwise inaccessible areas of historic buildings. Kirby Hall is an Elizabethan house which became largely ruinous in the nineteenth century. It was taken into state care in 1930 and underwent a lengthy programme of consolidation. This article focuses on the treatment of the interiors of the roofed section of the house, which have been the subject of differing views and approaches over many decades, concluding with the recent programme of work in 2001-4. Chicksands Priory is a rare example of a Scheduled Monument of medieval monastic origins still in beneficial use. After 25 years of virtual disuse, it has been sympathetically reused as an Officers’ Mess, enhancing rather than detracting from its essential qualities and without undue compromise for its users. This medieval flint church tower suffered from serious progressive cracking and active movement. The stability of the whole structure was threatened and a major intervention was necessary. After detailed investigation, the repair method selected was an unusual one: the insertion of four tile ring-beams around the tower. Extensive structural repair was also needed to the flint facing, stone parapet and roof. When completed in 1847, Robert Smirke’s entrance hall at the British Museum, London, was embellished by his brother Sidney Smirke and the decorator Leonard Collmann with an elaborate polychromatic scheme derived from ancient Greek sources. This employed over 65 colours, and survived, partly repainted and touched up, until the 1930s, when it was obliterated. In 2000 it was re-created through a combination of documentary research and physical investigation. In this article, the history of the scheme is noted, the process of re-creation described, the antique sources used in 1847 considered, and an assessment made of the importance of the scheme in mid-nineteenth-century Britain. Queen Victoria died at Osborne House in 1901. The ground floor of the Pavilion Wing, as it was originally called, was first opened to the public in 1904. As part of the commemoration of both centenaries, English Heritage has re-presented the Drawing Room, Billiard Room and Dining Room. The rooms are presented essentially as they would have appeared in the middle of the day at the end of Queen Victoria’s life, but they retain the integrity of their appearance as they would have been when fully completed in 1857. The Decorative schemes have been conserved and restored, the soft furnishings restored, the contents conserved, some displaced items reinstated and replacements made for others. The Cundy House is a small conduit house built in the early seventeenth century to provide a water supply to Bolsover Castle. Consolidated as a roofless ruin in the 1970s, it became a target for vandalism and misuse. Detailed investigation discovered that the building originally had a solid stone-vaulted roof. This unusual roof form was restored in 2002-3 by English Heritage, providing a secure solution to the problems which the building has faced. In 1904. B T Batsford published Old Cottages, Farm-houses and other Stone Buildings in the Cotswold District, illustrated with excellent photographs. A hundred years on, Robin Wyatt revisits many of the buildings. He records and explores the representative changes that have taken place, with up-to-date photographs. Kew Palace, often known as the ‘Dutch House’ on account of its Flemish-style brickwork, was built in the 1630s. This article gives an account of the comprehensive programme of external repairs which were carried out in 1996-9. Repairs to the intricately detailed brickwork were particularly challenging. Following careful research, the brick facades were restored to their original finish, with fine penny-struck pointed joints and overall application of terracotta-coloured limewash, transforming perceptions of the building. James Wyatt’s Brompton Barracks was the largest barracks built during the Napoleonic Wars and has remained in its original use ever since. Its recent refurbishment has economically updated the much altered interiors to modern standards while conserving and enhancing its historic character.